Sony held a press event today, largely to give the local Australian media a refresher update on what the company has in the works over the next year, as well as highlight the company’s core strategy with the PlayStation brand. While there wasn’t anything outright new that was shown off, I came away very positive on the company’s potential for 2018. Notably, today was the formal launch of the PlayLink platform for Sony in Australia. PlayLink is designed as a highly social way to play games; you simply pair your mobile device with your PlayStation, and it acts as a second screen and controller for select games released under that brand. We’re talking about karaoke (the new Singstar is a PlayLink title), quizzes and other experiences that benefit from players having a mobile device, rather than a controller, in their hands. 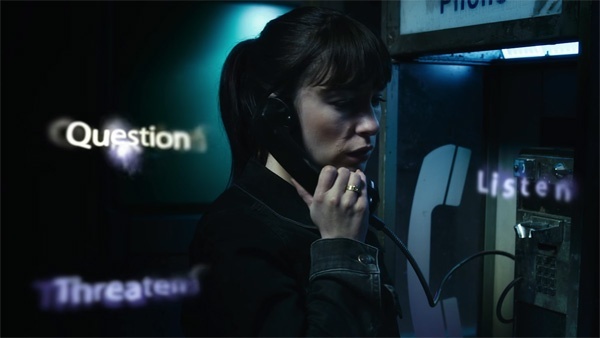 For the most part that means highly casual party games, but intriguingly, Sony also used the event to show off a title called Erica; a fully acted drama in which you’ll use your mobile device to make choose-your-own-adventure style decisions to determine what plays out on screen. It was like those old FMV games from a bygone era, only done well, with uncompressed video and excellent voice acting. More important than the games itself, though, PlayLink shows that Sony continues to think about games in a fundamentally creative way. It has the blockbusters on the way (from Detroit to Days Gone and on to God of War), but it also uses that box under the TV to give people all the entertainment they’ll need for the next family party, or highly experimental little narrative games that may well turn out poorly, but may also give people something fundamentally different. Nintendo is focused entirely on what for it is traditional, "core", gaming. Microsoft is focused heavily on the big, loud blockbuster experiences. There’s nothing inherently wrong with either approach, but Sony’s the one using its platform as a genuine platform to give players, regardless of their tastes, a wide range of different concepts to enjoy. Sony also has PlayStation VR, again leveraging the PlayStation 4 unit as the platform for a different way to play games, and PlayStation VR is nowhere near as “dead” as the people who don’t care for VR would have you believe. There are over 100 titles that work with PlayStation VR now. Not all of them are games, either; there’s all kinds of weird and quirky ideas on PlayStation VR, from relaxation software to educational bits of edutainment, so PlayStation VR has proven itself to be an experimental place indeed. What it doesn’t have is many of those blockbuster experiences that too many people think are essential to the success of a platform. That being said, Skyrim and Doom on VR go a long way to filling that void, and Farpoint and the upcoming Bravo Team do a good job of being that kind of more bombastic action made specifically for VR. But for me, finally getting hands-on time with a quirky little game that Sony has been really talking up since E3 - Moss - was the real highlight, and while I didn’t see the appeal of it from the 2D footage we saw at E3, actually seeing it in VR made me a complete believer. Moss is a puzzle platformer, with the most adorable mouse character you’ll ever imagine – he’s just perfectly animated and filled with character. Our little mousey fancies himself a hero, dressing dandily and waving a stylish sword around to match, but in reality, he’s a tiny animal in a huge world. 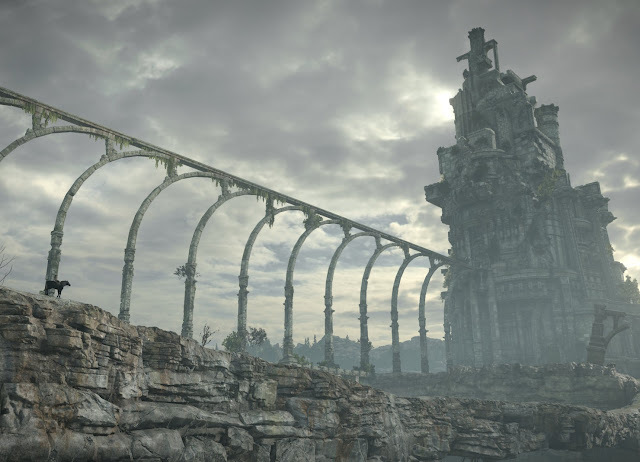 The opening levels take place outdoors, and from the start being able to physically look around (VR is used as a replacement for traditional camera controls in this instance), and see the trees towering overhead really reinforces this notion of smallness. Then, at the end of the demo our poor mouse hero faces off against a snake, which is of course huge to him, and it’s an utterly terrifying moment. This is a game that didn’t need to be in VR, but the VR significantly helps you build a connection with the mouse. For example, at one point he walks right up to “you” and bows before you, his little ears flopping about. 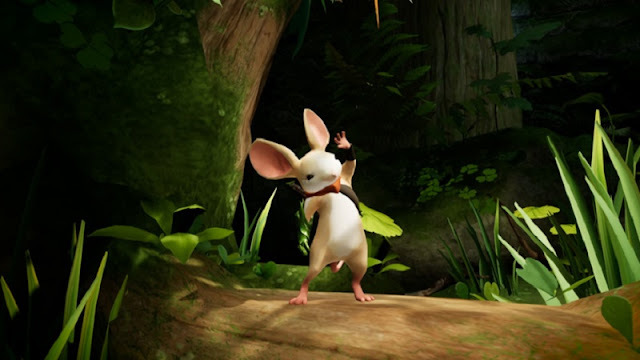 It’s the small mannerisms of the mouse as he runs around that really connect you to the character, and they’re brought to life through the intimacy of the window that VR provides you. Bravo Team, meanwhile, is really good fun. It’s a cover-based co-op shooter, and your control over movement is limited. And that’s for the best. Look around and when you spot a bit of cover that you can hide behind, you’re able to press a button to have your character run there. Once he’s there you can then start firing away at the enemies again. Call it a tactical light-gun shooter, if you will. Teamwork is important in out-flanking enemies, because the level that I played was incredibly difficult if you try and Rambo it without communicating with your teammate. This game uses the lightgun that came with Farpoint and, much like that game, there’s a real physicality to holding a gun that feels like the gun that you can see your character holding in the game. I’m not the world’s biggest fan of shooters and all that, but I really enjoyed Bravo Team. Aside from the VR, Sony was showing off its own games, as well as select titles from key partners; Far Cry 5 was playable for example. 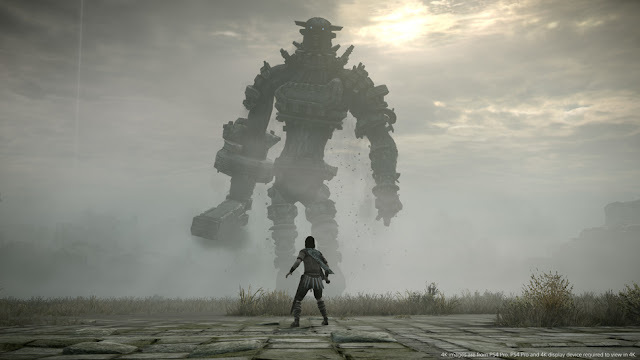 But of the “normal” games that weren’t enhanced by VR or PlayLink, Shadow of the Colossus was by far and away the most exciting game. Now, I love this game. I played through it a couple of times on the PlayStation 2, again for the HD remaster on PlayStation 3, and I was still blown away by just how incredible it looks on the PlayStation 4. Even ignoring the 4K resolution, the simple fact that a game that was that spectacular in terms of art direction all the way back on the PS2 now has the production values equivalent to any modern game makes for a game that’s almost certainly going to pick up best graphics award nominations next year – if not outright wins. It is just so beautiful and emotional. Otherwise a lot that was shown was the stuff that came from the recent Paris game show, which is fine (given that what was shown at Paris was most of what Sony is working on). There is one thing I do wish Sony would do, though; stop talking about its games and projects as content. The word was used repeatedly in every presentation, and is a terrible way to frame a discussion about games. As I’ve written about previously; “content” is a marketing term used to describe stuff to sell. I know Sony and its developers care about the games that they create and publish; it’s an insult to the artistry that goes into them to refer to them as a sales and marketing term. They’re games, and they’re art. Talk less about numbers that look good in spreadsheets and on brochures (“#1 console four years in a row!” “1 billion hours played in Australia since launch!”), and talk more about the art. It’s in providing art that Sony does best when it’s at its best, and 2018 is shaping up to be a busy, but good and varied, year for the company.